Make this dish spicier by adding more Sriracha. Heat a large nonstick skillet over high heat. Add the ground beef and cook until almost all browned. Add the sesame oil, garlic, and ginger. Cook for 3 minutes to cook the garlic. Add brown sugar, soy sauce, and Sriracha. Cook over high heat until sauce is thick and shiny, about 5 minutes. Serve over rice or cauliflower rice and top with green onions. 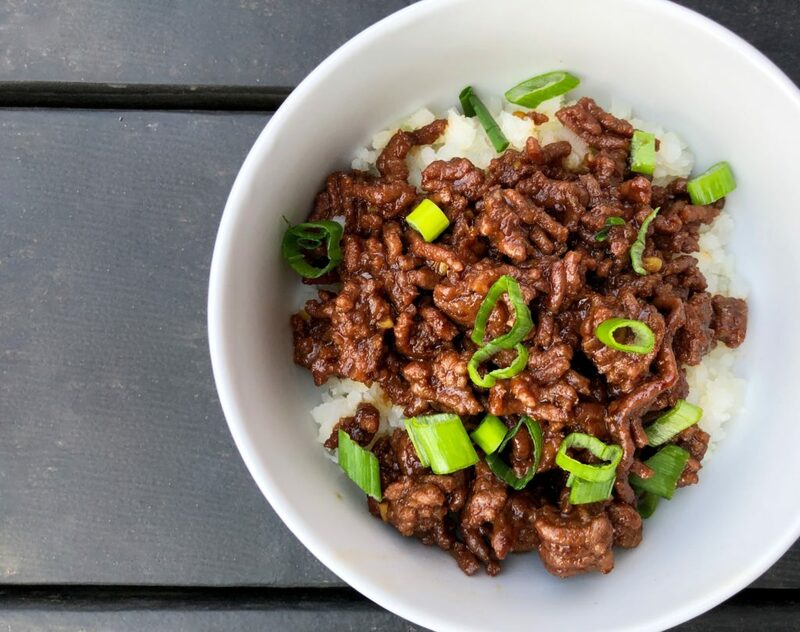 Copyright © 2019 Our Everyday Dinners - This is an easy recipe for how to make Korean Beef Bowls.